I am so happy to be writing for Equestrian Coach and to share my adventures as a horse show mom. 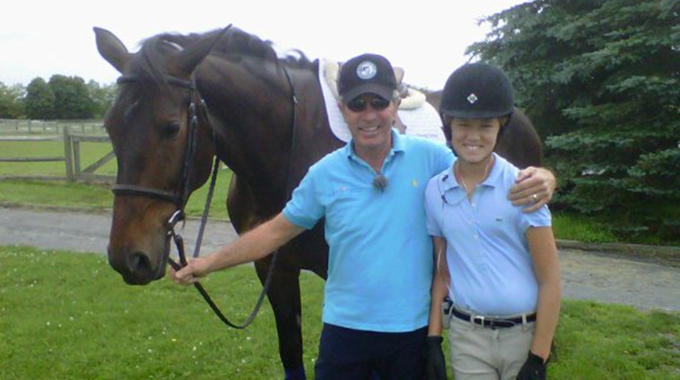 We spent the summer with Bernie 4 years ago and I credit him with who my daughter is as a rider today. He knew what she was capable of, even when she didn’t, and pushed her to find the best version of her. I think Bernie is one of the most brilliant teachers of this generation and, even if you can’t lesson or clinic with him in person, the Equestrian Coach videos are the next best thing. My daughter, Ally, is 14-years-old. She started riding 10 years ago and it has been a wild ride. I was the mom that agreed to pony camp and a few casual lessons. I told our first trainer don’t try to sell me anything we will NEVER own a pony. Famous last words. Once the kids have the bug for this sport, it is all encompassing. It starts slowly. You start having more than one lesson a week… ok, fine we will go to a local horse show… well, a weekend away at an away show sounds like fun. Bam! Suddenly you are travelling half the year to horse shows all over the country. Whatever level your child is riding, I believe this sport is an extraordinary character building exercise. The hard work, the personal sacrifice, the heartbreak, trying to understand your partner when they can’t tell you what is ailing them (imagine your double’s partner in tennis having a pulled muscle and not performing well but they can’t tell you! ), the exhilaration of winning (and winning well) are all amazing life lessons. The most important life lesson, however, that comes out of this sport, is learning to lose elegantly. It doesn’t matter if you are Beezie Madden or McLain Ward, no matter how good you are, you are going to have a bad day. This is the only sport where your partner is alive, has a personality, and can decide he just doesn’t want to work with you that day. This year at the Hampton Classic, Kevin Babbington was showing in a morning class before the Grand Prix and was dumped into the water. Covered in blue water he had to change his pants before going into the $250,000 grand prix that he ended up winning. What a lesson. To be able to brush off an epic fail, get your head right back in the game and then win that huge class. Imagine learning that skill at a young age. Any career setbacks later in life will be a piece of cake. My daughter has been blessed to work with some of the most amazing trainers from the West and East Coast. Right now, she is training with Frank Madden and Stella Manship. Her focus is the equitation and the jumpers. This crazy life we have chosen to live is exhausting and complicated. Balancing family life, career and a social life outside the show world (is there one?) is close to impossible. Having said that, I have made some of the most amazing friends and watched my daughter blossom. How many teenagers actually want to hang out with their mothers? There is no place I would rather be. Let me know if you have any questions or thoughts on what you would like to hear about as we continue our adventures in Florida this show season! 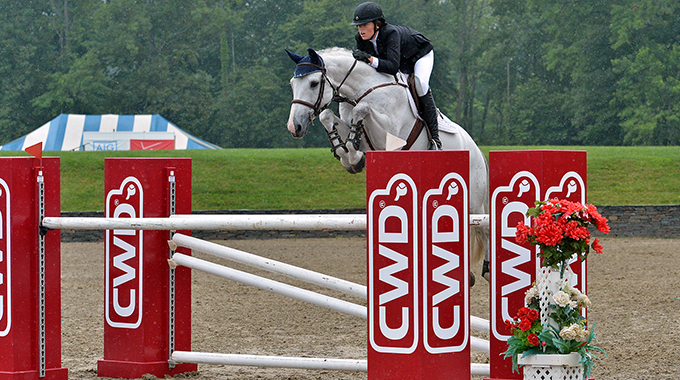 Jen Worthington is a show mom who tries to balance the crazy world of horses with running her own company. Having been following her child on the A circuit for 4 years she has seen it all.